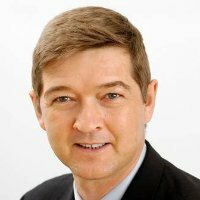 Dr. Andrew S. Nevin is one of PwC’s leading global thinkers, working at the complex intersection of economics, strategy, and regulation. He has almost 30 years of professional experience as an Economist, Strategy Consultant, line manager, and private equity investor, and in his professional career has previously lived in Asia, North America, and Europe. He has been based in Lagos, Nigeria since early 2012. In Nigeria, Andrew now plays a role in creating a strong and vibrant economy and society in the world’s most dynamic continent. As FS Advisory Leader, Andrew has served numerous Nigerian banks across a range of strategy, technology, operational, and regulatory issues. In addition, he has done a number of engagements helping global companies in a range of industries look at their options for entering and expanding in Nigeria and Africa. As Chief Economist, he led the writing of PwC Nigeria’s White Papers: Impact of Corruption on the Nigerian Economy (Jan 2016, which showed that Nigeria’s GDP would be over $100Bn larger if it had the same level of corruption as Ghana) and Nigeria: Looking Beyond Oil (March 2016, which determined analytically which sectors would have the biggest impact overall on Nigeria’s development, with agriculture as the most important). In May 2015, he led the development of PwC’s paper on the impact of the oil price decline on Nigeria’s economy: What next for Nigeria’s economy? Navigating the rocky road ahead. He is also a frequent TV commentator on the Nigerian economy and contributor to the print media. His media appearances and writings can be seen on his economics website – www.nevinomics.com. In 2010, he conceived and led the creation of Project Blue, PwC’s most comprehensive Financial Services intellectual Thought Leadership, which introduced PwC to thinking about the key global megatrends. He has recently returned to become Global Leader of Project Blue, which is now focused on both envisioning but also shaping the Future of Financial Services. Before joining PwC, he spent 10 years living in China and was the President of United Family Hospitals (China’s pre-eminent international hospital chain) during the SARS crisis in 2003 through early 2005. Andrew started his career at McKinsey & Company, serving in the Toronto and Paris offices. He holds a PhD in Economics from Harvard University, an MA in Philosophy and Politics from Balliol College, Oxford University (where he studied as a Rhodes Scholar and scored 2 goals in the 100th anniversary Blues ice hockey match vs. Cambridge), and a BSc (Hon) in Computer Science and Mathematics from the University of Western Ontario, Canada. In April 2011, he was named Strategy Consultant of the Year for 2010by the Management Consultants Association in the UK. Andrew is a Canadian citizen.